Allen Smythe’s first week on staff is not going well. He’s been falsely accused of a crime (which he may have accidentally committed), falsely accused of indiscretion with a student by his ex (is it his fault if she’s infatuated? ), embarrassed by his hated rival, and shaken by rumours that his beloved mentor may retire. But he remains hopeful. Surely a philosophy department is composed of rational beings, governed by the deep deliberations they bring to bear on their actions. Then a shocking death throws the faculty into chaos and casts Allen into the most treacherous of all dimensions: the moral one. 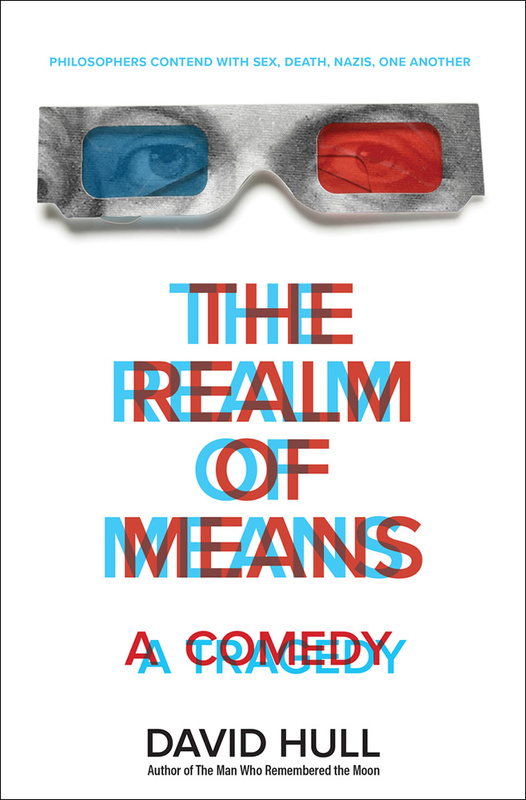 A raucous comedy that takes a dark turn into the past, The Realm of Means gives us a man trying hard to remember why we’re supposed to be good, caught between hope and doubt, silence and betrayal—in the space between means and ends. The only thing the newest professor, Allen Smythe, wants to do is think. Think about hope (he's against it); think about not thinking about his recent breakup. But the department's a busy place. Frederick Ash, the prof with the Jag, is pushing his plan for Just-In-Time Philosophy. Chair Gerhardt Gerber seems to be courting an American superstar as his successor. And a young undergrad is causing Allen distress with her (possibly imaginary) infatuation. But after a shocking faculty death, Allen finds himself immersed in the rumors and whispers of a bitter power struggle. Then a stranger shares a secret that thrusts him into an agonizing dilemma: whether to speak, or stay silent. A comedy of manners and a tragedy of doubts, The Realm of Means explores the bonds of friendship that hold us together, and the invisible wires that reel us away to our fates. Note: the advance readers edition of this book bore the title Professor Connected.